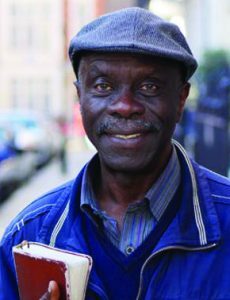 Nigerian Christian preacher Oluwole Ilesanmi was arrested and handcuffed in London in February outside a tube station. But the former dentist was also accused of being racist, had his Bible confiscated, and was abandoned several miles away in an unfamiliar area with no means of travelling home. Just one member of the public had accused him of Islamophobic comments, though the arresting officers said a second witness “supported the allegations”. When challenged by Premier Media, the Met Police initially claimed that officers had merely walked Mr Ilesanmi 200m from the scene and left him by a bus stop. But Mr Ilesanmi says he was left without any money to get home. According to Christian Concern, he had to ask a stranger for the bus fare. The police also ignored eyewitness accounts of an aggressive young man threatening the preacher before officers arrived. Soon after the arrest, a video contrasting the police’s tolerance of an aggressive Muslim street preacher with the treatment of Mr Ilesanmi – who has been arrested while preaching before – was circulating on social media. The police’s Professional Standards Unit is investigating, and Mr Ilesanmi was not charged. MP Theresa Villiers questioned the arrest in Parliament.